Tuesday’s & Friday’s from 4pm is where all the fun is at! 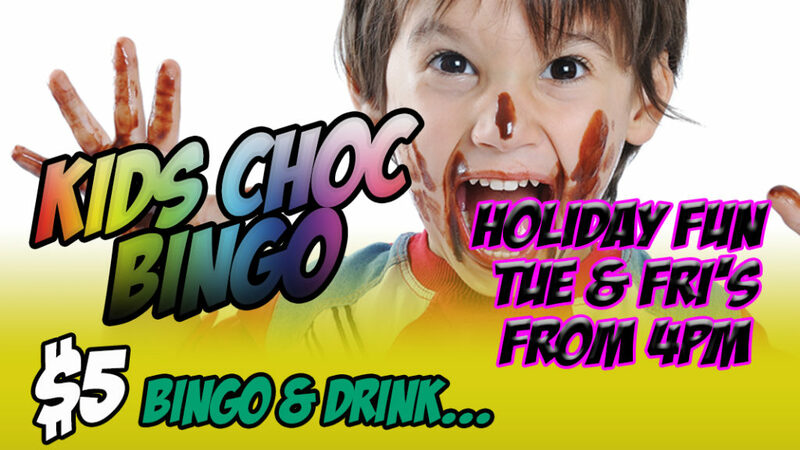 This is a favourite with both parents & the kids, it’s $5 for Bingo & Drink with lots of great prizes up for grabs. No need to book just show up on the day. Be early to grab your seats.